This week sporting news has been dominated with Sir Alex Ferguson’s decision to retire as one of the most successful football managers of all time. 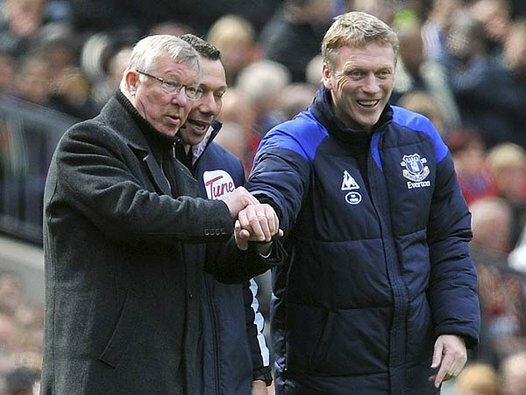 Replacing this legend will be no easy task and I’ve been fascinated by how involved Ferguson was in choosing his successor David Moyes. Last year Pep Guardiola stunned the football world when he announced he was stepping down as coach of the all-conquering FC Barcelona. Even more surprising was that the club, instead of appointing a high profile coach, promoted Guardiola’s assistant – the relatively unknown Tito Vilanova. A year on Vilanova has missed a couple of months of the season as he receives treatment for cancer. In his absence, his assistant has stepped in. Despite an embarrassing Champions League semi-final defeat to Bayern Munich (Guardiola’s next team) Barcelona are 8 points clear at the top of the league. A couple of years ago, a youth pastor in East Belfast built a thriving youth ministry which saw young people stepping out to serve and coming to faith. Then he stepped down and moved on. In a large church, the obvious next step would have been to replace him with someone experienced. Instead, a youth intern, who had been invested in and developed by the previous youth pastor was appointed to the role. Today that youth ministry continues to grow and has created a welcoming community with a sizeable proportion of teens who are not yet Christians or on a journey of discipleship. Even more noticeable is how leaders are being developed and emerging from the group. Recently, some friends of mine returned from a trip to Africa having spent time with church leaders from across the globe. One of the standout experiences for them was seeing the reality of jail and even death for leaders in the persecuted church. These leaders had to think not just about who would follow them but who would follow the person who followed them. Do I see Innovista Ireland and our mission as ‘mine’ or one which I have been entrusted with? How long-term is my vision? I’m trying to be careful that Innovista in Ireland is not shaped in my image but shaped by values and culture so deeply ingrained that when it is time for me to step aside, Innovista won’t just keep going but will flourish even more. The time to think about succession planning is not when the leader or founder steps aside, but now. Our churches and organisations need to be built on shared values and culture, not around the leadership, and especially not the personality of one person – even if they are the founder or the pioneer. When that person leaves what will happen? Especially if they have a lot of control? How do we build healthy churches and organisations that are sustainable? It can only be through seeing ourselves as dispensable, by remembering that we are stewards of the mission entrusted to us. By recognising the need to create a culture in which potential leaders are developed and given opportunities to flourish. Where we celebrate the gifts of others, not keep them in check. Where our focus is on enabling others to become all they have been created to be. This is the kind of leadership and service Jesus modelled and that God uses to build His kingdom. So, what steps can you take this week to be a kingdom builder and not an empire builder?